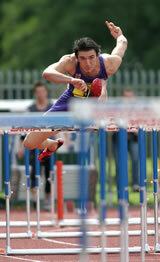 If you want to improve your running fitness, Loughborough University’s Sports Science Service can help! We offer a range of services specifically for runners to improve their fitness and stay injury free. Whether you are just starting out or have been running for years, we can help you to get the most out of your training. A physiology test is basically a fitness test carried out in a sports science lab, and we tailor this to specifically assess running-related fitness. Our physiotherapists can help you get the most out of your running by staying injury free. We offer a Functional Movement Screen which highlights any weaknesses or imbalances, and then we provide you with corrective exercises to improve functional performance and reduce risk of injury. We offer diet analysis and consultations. Your nutrition can have a big impact on your running performance. Eating the right amount of the right nutrients at the right time will allow you to get the most out of a training session and help your body adapt to training. On race day, particularly for events lasting more than 1 – 1.5 hours nutrition and hydration can make or break your performance. 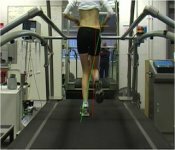 Find out about our physiology assessments specifically tailored for runners - what is involved and why they are useful. Find out about the services available for runners as well as lots of useful information to help you get your nutrition right. We have spent many years studying sports science and we are constantly keeping up to date with the latest research to ensure that the services we provide to athletes are the best they can be. We are very experienced at translating the science into useful information for athletes, in a way that even the least scientific person can understand. Here we will have some articles about different aspects of running physiology and sports science. We will be adding to these on a regular basis as new research comes out.